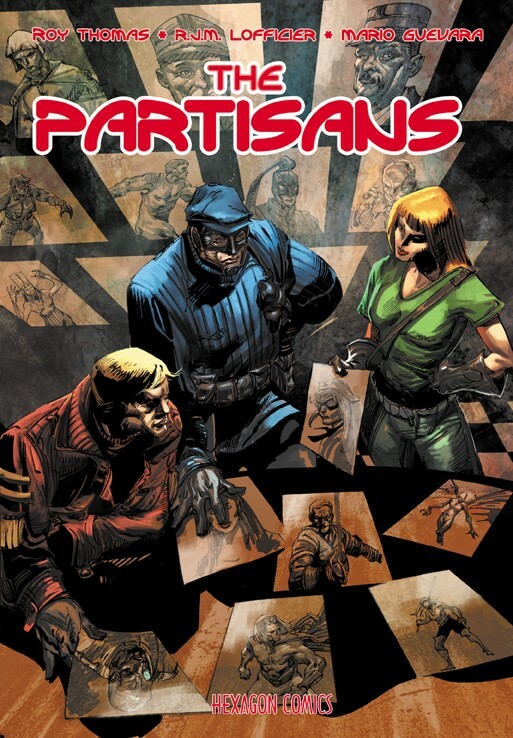 THE PARTISANS: THE SHORTEST NIGHT! But Churchill and De Gaulle have anticipated the danger! They dispatch a team of fearless heroes led by Captain Rick Ross, a.k.a. Baroud, the Archer Princess Sadko, the French Guardian of the Republic and Marianne, the famous Black Lys, the legendary Metal Man and the young American Ricky Rox... The fate of Europe is now in the hands of THE PARTISANS! A prodigious saga of the last days of World War II published in France to commemorate the 70th anniversary of D-Day and brilliantly staged by Roy Thomas (All-Star Squadron, Invaders), R.J.M. Lofficier (Dr. Strange) and Mario Guevara (Solomon Kane).